The tallest peak in the solar system is Olympus Mons of Mars, three times taller than Mount Everest. But it's not as easy to say what the second tallest mountain is...but it might be found in the unlikeliest of places. We've had fun with imagining climbing the solar system's peaks before, but we found out firsthand that it isn't easy coming up with an exact list of the highest peaks in the solar system. We know that Olympus Mons has an elevation of about 15 miles, and then other super-tall peaks on Venus and Jupiter's moon Io top out at about 7 miles. That's all still comfortably taller than Everest's 5.5 miles, but it's hard to tell which peak takes the prize for the solar system's second-tallest. Now, NASA's Dawn probe may have found just the mountain hidden in a crater on the asteroid Vesta. The second-largest object in the asteroid belt, Vesta is a pain for astronomers to categorize, occupying a weird middle ground between would-be planet and misshapen rock. The mountain is located on Vesta's South Pole and is at least 7.5 miles tall, making it taller than any other known peak in the solar system not named Olympus Mons. 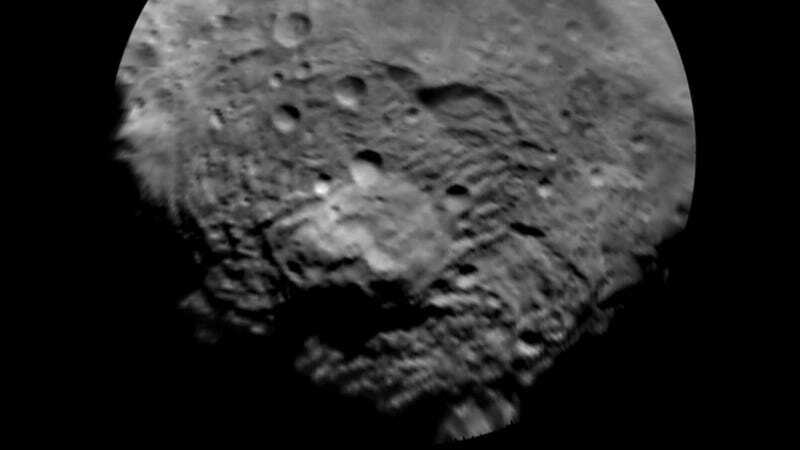 "We are learning many amazing things about Vesta, which we call the smallest terrestrial planet. "Like Earth, Mars, Venus and Mercury, Vesta has ancient basaltic lava flows on the surface and a large iron core. It has tectonic features, like on Earth: rift valleys, ridges, cliffs, hills and a giant mountain. It seems reasonable that we have a Vesta surface which is a combination of fairly young terrain, and also very ancient terrain. The south polar mountain is larger than the big island of Hawaii, the largest mountain on Earth, as measured from the ocean floor. It is almost as high as the highest mountain in the solar system, the shield volcano Olympus Mons on Mars." The mountain doesn't have a name yet, although it's located in the crater Rheasilvia, named for the mythological mother of Romulus and Remus, the twins who found Rome. Personally, I'd say Mount Remus seems like an appropriate name - Romulus has already had plenty named after him, you know?